Join us and thousands of people across Lancashire to walk, swim, cycle and run One Mile Your Way on 18th May 2018. Register your mile with us in your local Fylde Coast YMCA and you could win a 6 month FREE Gold Membership at any of our centres. Last year we came so close! You helped us cover an amazing 23,992 miles and this is the year we want to cover the circumference of the Earth. That’s a target of 24,901 miles, or the equivalent of running 950 marathons or completing the Tour de France … 11 times. With the help of the other Health and Well-being programmes across Lancashire, ‘Your Move‘ want your help. 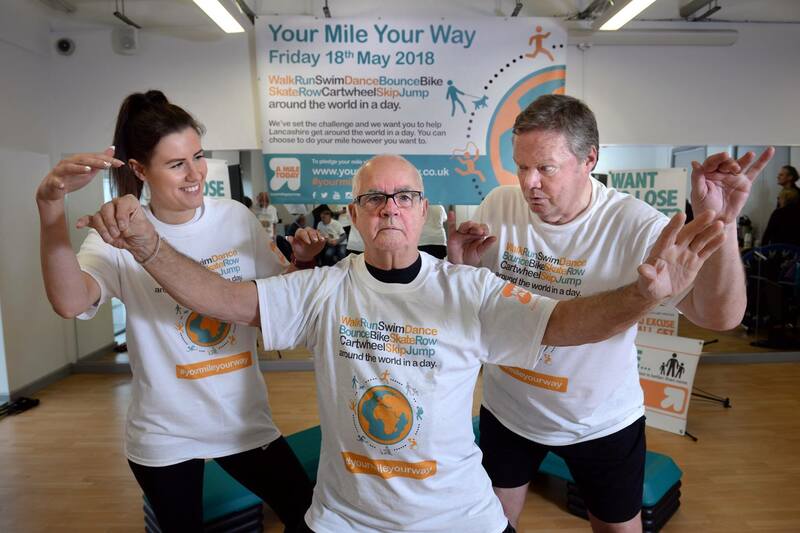 On Friday 18th May join us and cover a mile or more, log your mile at any YMCA facility or log it with us here and you will be entered into a prize draw to receive 6 Months Free Gold Membership at any Fylde Coast YMCA. Remember you can walk, run, jog, hop, skip, cycle, swim or row your mile, the more creative the better! For more information visit our health and well-being page.